Graphics can add a lot to a document, but one needs to understand the tools in order to control them effectively. This will mostly be a demonstration and practice session. 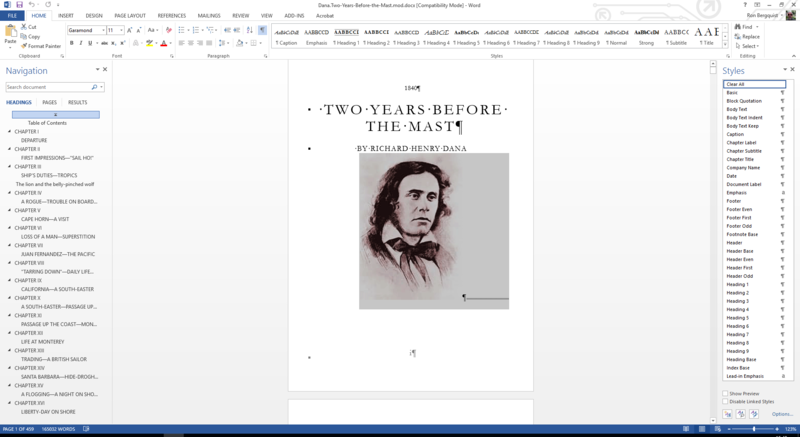 We will use Two Years Before The Mast by Richard Henry Dana, to look at the use of some of the built-in tools. The toolbar appears when you select an image to work with. 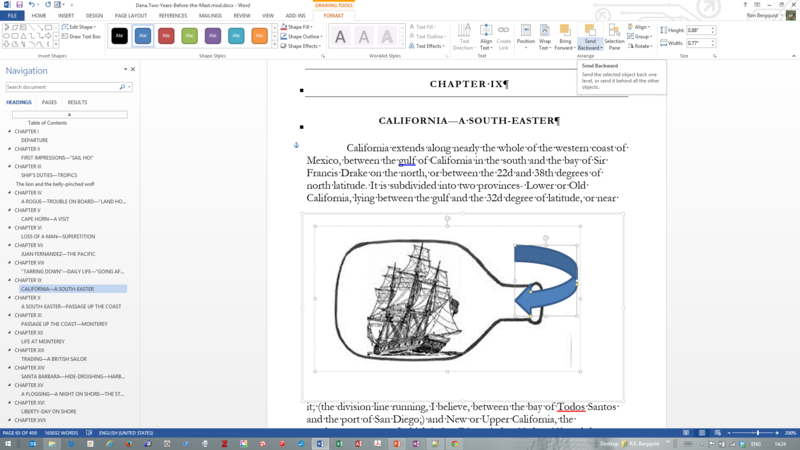 One can alter the look of images inserted into the document using the various toolbar components. 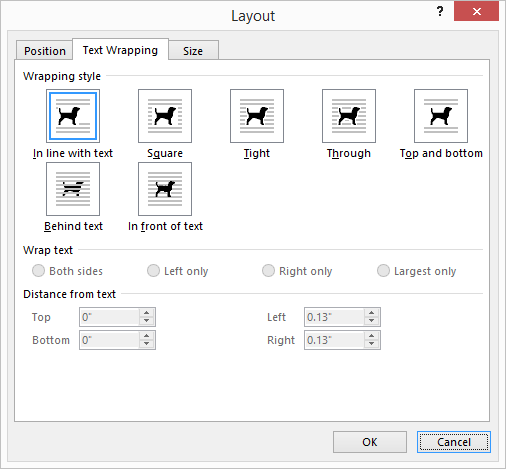 But the wrapping tool is one of the most important in determining how the picture object relates to the text objects in which it is embedded. 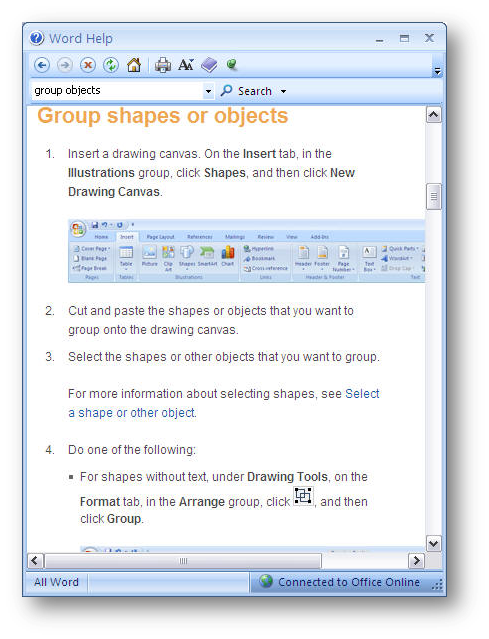 You can also create groups within groups to help you build complex drawings. When you use the Order tools, you determine where in the stack a particular object lies. You can move an object back and forth in the stack, or to the front or to the back. If you have multiple objects in a page, this tool allows you to show or mask as much or as little of an object as you wish. 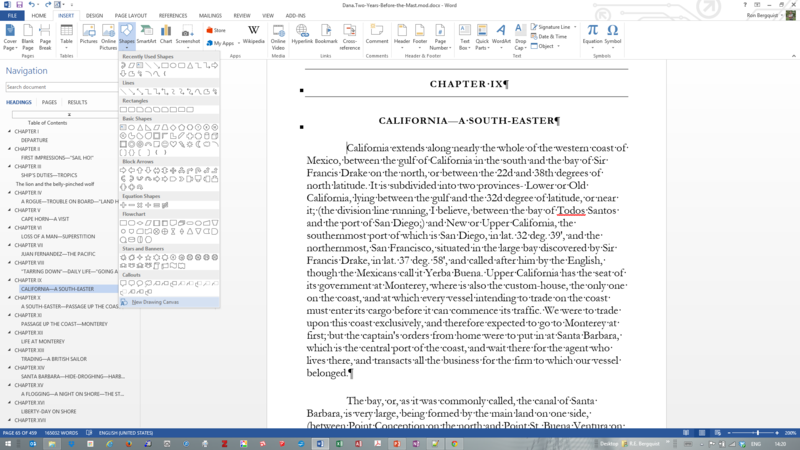 If you use objects other than text (images are one, but there are others) and text together in your documents, it can be helpful to use the text wrapping function. Consider this document with clip art and text. There is a lot of white space around and between the art and text. 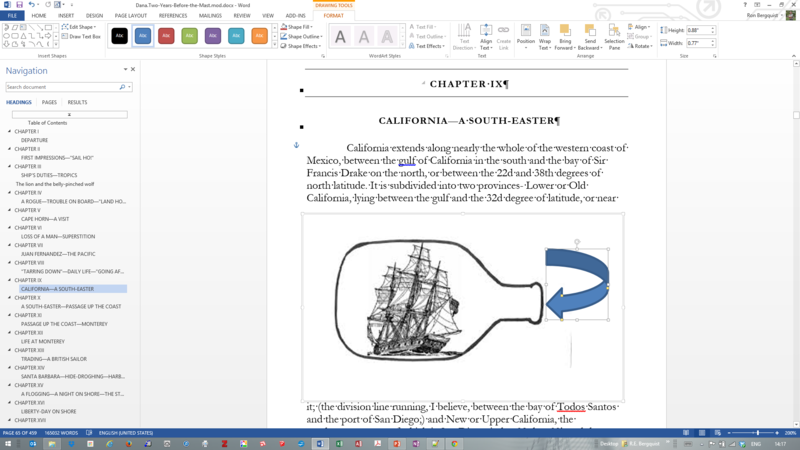 The images are inserted in the document in line with text, and thus are behaving as if they were text objects. But is this how you want your object to relate to its surrounding text? To wrap text around an image object, use the same image objects, but treat them differently by formatting their wrapping properties. Select the object you want to wrap text around. 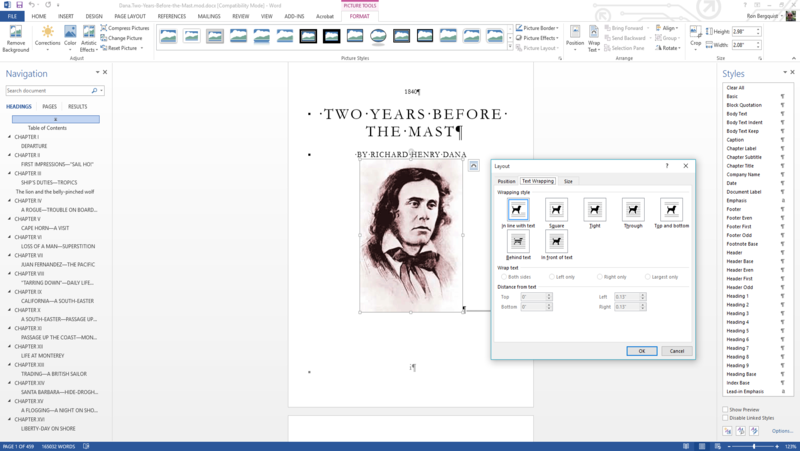 On the Picture toolbar, click the Text Wrapping button. Click the Square (in this case) button. 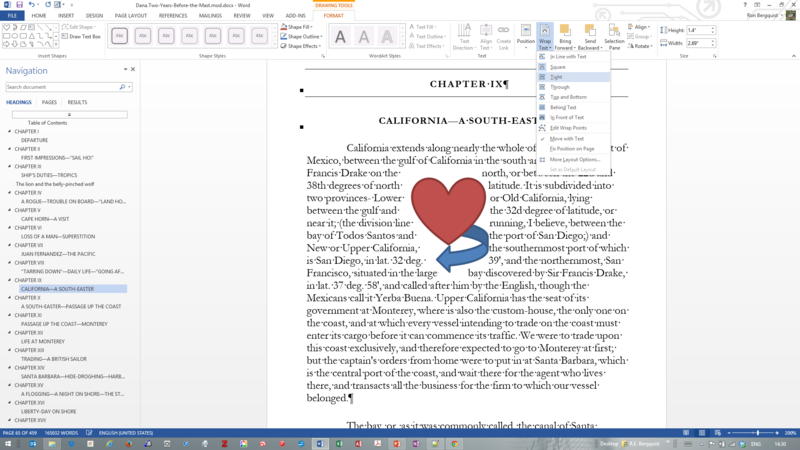 Click and drag your clip to where you want it in your document. The text will wrap itself around the object. Your object and text now complement each other well.